4Pi-VR has years of experience in creating interactive media for CD-ROM and kiosks, from educational titles created using Director and iShell to interactive web projects completely based on QuickTime. 4Pi-VR can build your interactive project for use on a kiosk, as a CD-ROM title or for the web, using video, interactive panoramas and object spin movies. Contact us with your requirements! Screenshots of some of our projects are shown below. Click on the images for a larger view. 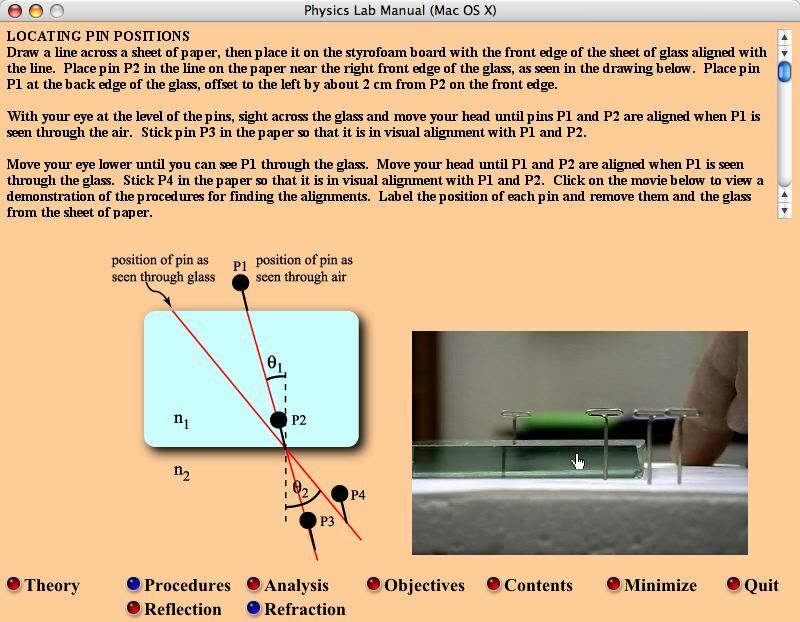 Physics Lab Manual with interactive multi-row object movie. Built with Director. 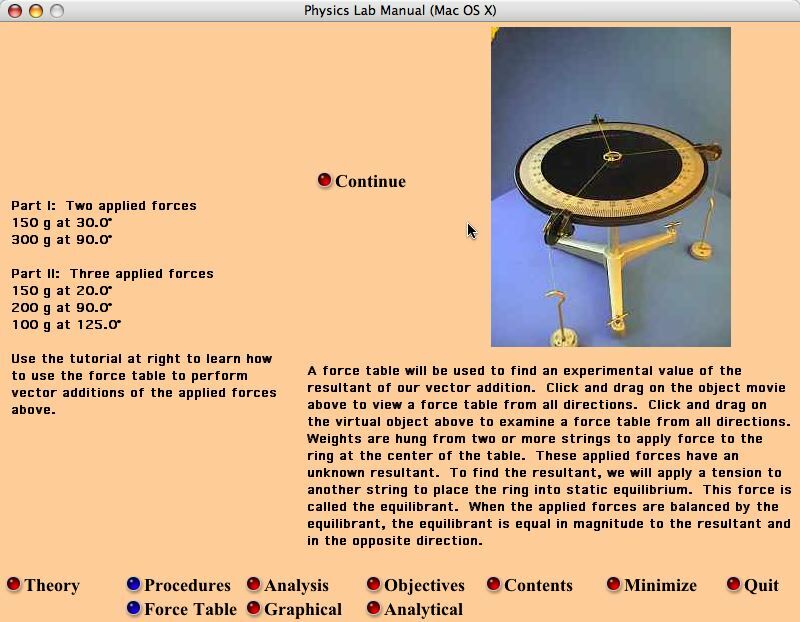 Physics Lab Manual with custom diagrams. Built with Director. 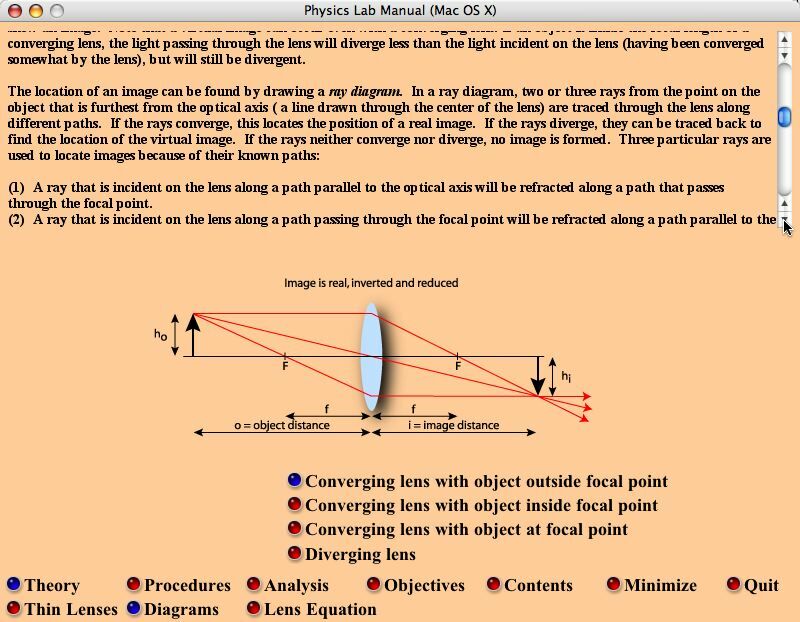 Physics Lab Manual with video shot and edited by 4Pi-VR. Built with Director. 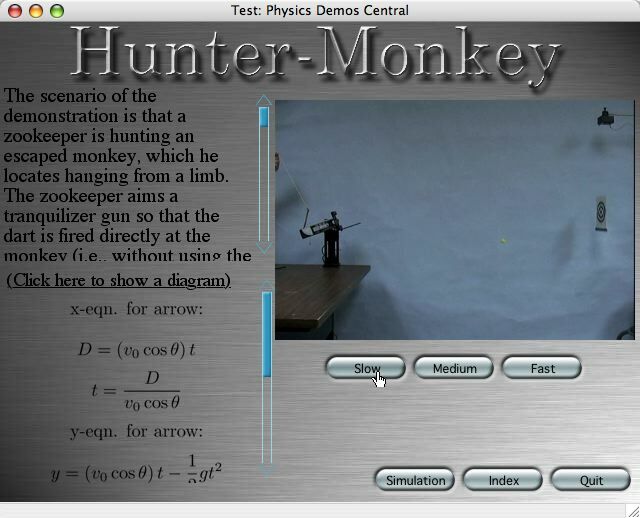 Interactive physics demo videos and java applets. Built using iShell for CD-ROM or hybrid web.